5 Sponsored Communist Party "Jobs Bill"
10.3 "Living Wage, Jobs for all Act"
Robert (Bob) Filner is a pro-Socialist Democratic member of the United States House of Representatives, representing the 51st district of California, which encompasses the San Diego area. Born in Pittsburgh on September 4, 1942, and raised in New York City, Bob Filner moved to the San Diego area in 1970. He and his wife, Jane Merrill, have two adult children. Bob Filner is the son of Joseph Filner, formerly a senior official of the Pennsylvania Communist Party. Filner was elected as mayor of San Diego in November 2012. Filner holds a science degree and one of only 18 members in the House holding a Ph.D. In 1961, Bob Filner spent several months in a Southern jail as a "Freedom Rider" in the Civil Rights movement. Five "Freedom Riders" were arrested in Jackson. Four of the five were college students and one Elizabeth Hirschfield, was a laboratory technician at the Atomic energy commission, in Ithaca New York. One of the four students Bob Filner was an 18 year old engineering student at Cornell, where he was the founder of the Cornell Liberal Union. Filner later taught at the Tuskegee Institute and participated in the 1965 Selma to Montgomery March. After Bob Filner became involved in politics, one of the people who campaigned for him was Andrew Young, then mayor of Atlanta, Ga. Young had been mentored by Martin Luther King, and he remembered, King's financial backer Joseph Filner well. At one point, he told a campaign rally that he supported Bob Filner's candidacy not only because of their shared Democratic viewpoints, but also, quite simply, "because of his daddy." Bob Filner was the President of the San Diego Board of Education and served on the San Diego City Council for five years. In 1991, he served as Deputy Mayor for the City of San Diego. He was first elected to Congress in 1992, and has been re-elected by wide margins every two years. 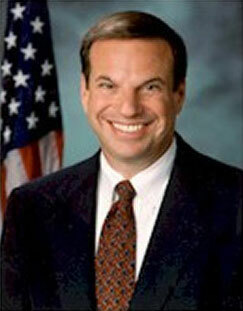 In January 2007, Congressman Filner became Chairman of the House of Representatives Veterans’ Affairs Committee. He has achieved a national reputation for his work on behalf of our nation’s veterans, both current veterans returning from Iraq and Afghanistan and more elderly veterans from the Vietnam and Korean wars and World War II. He led the fight to restore honor and benefits to the Filipino Veterans and Merchant Mariners of World War II. During his years in Congress, Congressman Filner has also served on the House of Representatives Committee on Transportation and Infrastructure. He has fought for federal funding for border infrastructure. He has been an advocate of improved U.S./Mexico relations, quality education, protection of the environment, and universal health care. Sponsored Communist Party "Jobs Bill"
H.R. 950, the Job Creation and Infrastructure Restoration Act of 1997 was introduced in the 105th Congress on March 5, 1997 by Congressman Matthew Martinez of California. It had 33 original co-sponsors, including Bob Filner. The primary purpose of this emergency federal jobs legislation was to provide much needed jobs at union wages to crisis ridden cities by putting the unemployed to work rebuilding our nation's infrastructure (schools, housing, hospitals, libraries, public transportation, highways, parks, environmental improvements, etc. $250 billion is authorized for emergency public works jobs over a five year period. 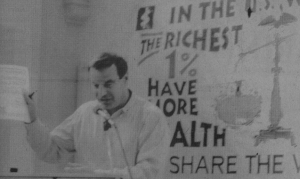 On October 18 1997, Bob Filner addressed a San Diego "show us the living wage jobs" rally, as part of a national day of action, calling on Congress to pass the Martinez Jobs Bill. There were concurrent rallies in nearly 20 cities, organized by the Communist Party USA dominated National Labor-Community Coalition For Public Works Jobs. In 1998 Bob Filner Democrat was listed as a member of the Congressional Progressive Caucus. As of February 20 2009 Bob Filner was listed as a member of the Congressional Progressive Caucus. In 2012, Bob Filner was listed as an associate member of the Congressional Asian Pacific American Caucus. In February 2002 a delegationof California Democratic Party Congressmen and women including Sam Farr, Diane Watson, Bob Filner and Mike Thompson, together with singer Carole King and representatives of California's rice and wine industries visited Havana as part of the latest effort to change U.S. policy toward Cuba. They said their dinner with Castro at the Palace of the Revolution stretched from 9 p.m. Sunday until about 4:30 a.m. Monday. During the meal, King also performed a new song, "Love Makes the World." The Council for a Livable World, founded in 1962 by long-time socialist activist and alleged Soviet agent, Leo Szilard, is a non-profit advocacy organization that seeks to "reduce the danger of nuclear weapons and increase national security", primarily through supporting progressive, congressional candidates who support their policies. The Council supported Bob Filner in his successful House of Representatives run as candidate for California. Like many Congressional Progressive Caucus members, Bob Filner has ties to Democratic Socialists of America. In 1983 San Diego Democratic Socialists of America members worked on the unsuccessful City Council races of Bob Filner and Celia Ballesteros. In 1993 San Diego Democratic Socialists of America members were active in waging a campaign to convince the area Congresspeople, Lynn Schenk and Bob Filner, to co-sponsor the McDermott-Conyers bill for a single-payer health care system. "Living Wage, Jobs for all Act"
In 1995, Nancy Pelosi, Bernie Sanders, David Bonior, Eleanor Holmes Norton, Cynthia McKinney, Maurice Hinchey, Major Owens, Nydia Velasquez, John Conyers, Bob Filner, Alcee Hastings, Lane Evans, Edolphus Towns, Jim McDermott, supported Democratic Socialists of America member rep. Ron Dellums' "Living Wage, Jobs for all Act"
In July 1996, the Democratic Socialists of America Political Action Committee endorsed Bob Filner, California 50, in that year's Congressional elections. Meanwhile, San Diego DSAers are involved in progressive Democrat Bob Filner’s 51st CD reelection race. We reported on the candidates that DSAers were supporting in the last issue of Democratic Left. How did they do? San Diego DSA produced an email recommendation sheet for the membership covering all races and propositions on the November ballot, a popular tradition of the local that people ask for as elections approach. Activist members there went precinct walking for Representative Bob Filner. They also worked hard for statewide Proposition 1C, a large bond issue for affordable housing, which passed. SD-DSA held a forum with about 20 participants on “DSA, the Left, and the Presidential Election.” They organized a fundraising event in April for City Council candidate Stephen Whitburn, which was attended by Congressman Bob Filner and raised about $1000. On Saturday, August 10 1996, over 300 people attended the San Diego Hearing on Economic Insecurity, "a forum intended to hammer home to a message to our elected officials that working America is hurting and to demand that government take corrective action." The Hearing, involved groups such as the Gray Panthers, the ultra radical National Lawyers Guild, Welfare Warriors and labor unions, but was initiated as a project of San Diego Democratic Socialists of America. Congressman Filner signed the Pledge for Economic Justice. A memorial tribute in San Diego Jan. 8, 2006, celebrated the life of legendary labor organizer Clinton Jencks, who died in San Diego Dec. 15, 2005, at the age of 87. During the McCarthy era Jencks was convicted of falsely swearing a non-Communist affidavit required of union officials at the time under the Taft-Hartley Act. Later Jencks joined Democratic Socialists of America. The need for Federal action should be obvious. To that end, DSA supports H.R. 870, The Humphrey-Hawkins 21st Century Full Employment and Training Act, introduced into the House of Representatives by John Conyers, U.S. Representative from Detroit, and friend of DSA. This bill introduces several strategies to generate jobs, including the establishment of a National Full Employment Trust Fund to create employment opportunities for the unemployed, financed (budget-neutral) by a tax on securities transactions. Introduced by Representative John Conyers, Jr. (MI-14) on March 2nd, the bill recently gained its 6th cosponsor, Bob Filner (CA-51). In Illinois, Jesse Jackson, Jr. (IL-2) is a co-sponsor. 21st Century Democrats is a Political Action Committee that has stood for Progressive causes for over 20 years. Founded in 1986 by Institute for Policy Studies affiliate, Iowa Senator Tom Harkin, Democratic Socialists of America affiliates, former Texas Agriculture Secretary Jim Hightower, and former Illinois Congressman Lane Evans. Its three main goals are to help elect progressive candidates, train young people about grassroots organizing, and lastly, to continue to support our elected officials after Election Day "through our comprehensive progressive network". Carol Moseley Braun, a former US Senator from Illinois, and long time Communist Party USA affiliate, serves on the organization's Advisory Board. Long time Board chair was Democratic Socialists of America member Jim Scheibel, a former Mayor of Saint Paul, Minnesota. The mission of 21st Century Democrats is to build a "farm team" of progressive populists who will be the future leaders of the Democratic Party. In each election cycle, we endorse a diverse array of candidates who exemplify our values and show unusual promise to advance our progressive goals. We invest in some of the most competitive races as well as in some of the most challenging – those in which the candidates are outstanding but the traditional Democratic supporters are most reticent. We back candidates in primaries as well as general election races, and we focus the bulk of our resources on electing challengers and protecting vulnerable incumbents. Filner was one of 12 key progressives endorsed by 21st Century Democrats in the 2012 election cycle, during his successful run at the San Diego mayoralty. Bob Filner is on the list of Congressional Representatives who have participated in hearings/briefings since 1998, with the very radical Institute for Food and Development Policy/Food First, founded by Frances Moore Lappe (Democratic Socialists of America, Institute for Policy Studies) and Joseph Collins (Institute for Policy Studies), authors of the book "Food First". In 2003 Rep. Bob Filner served on the Progressive Majority Advisory Committee. Signatories included Rep. Bob Filner. The Populist Caucus was founded on February 11, 2009 in the United States House of Representatives by Democrat Bruce Braley of Iowa. The caucus originally included 26 other Democrats in the House, including Bob Filner. 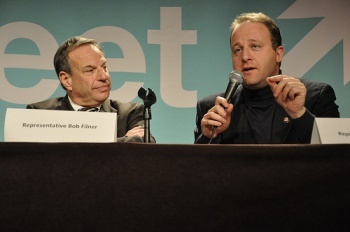 On Oct. 26, 2009, Bob Filner spoke alongside fellow congressmen, Jared Polis and Jan Schakowsky at the JStreet 2009 Conference. JStreet is a leftist Jewish organization that, according to its website, "was founded to change the dynamics of American politics and policy on Israel and the Middle East". JStreet has several Democratic Socialists of America members within its leadership. In 2008 Filner was endorsed by JStreet PAC. In February 2010, the first JStreet-sponsored congressional mission toured Israel, Jordan and Palestinian-controlled areas. Five members of Congress participated in the tour; Lois Capps, Bill Delahunt, Bob Filner, Mary Jo Kilroy, and Donald Payne. JStreet is a Jewish organization that, according to its website, "was founded to change the dynamics of American politics and policy on Israel and the Middle East". At the By the Bay Holiday Inn, Portland, ME. Poetry event recognizing the editors and contributors to Winning Hearts and Minds, and Demilitarized Zones, collections of poems by Vietnam veterans, followed by open mike. Opening reflections by Jerry Genesio, a principal founder of VFP. Opening keynote by Chris Hedges, prolific and provocative progressive writer. A Public Meeting in Portland featuring Rep. Bob Filner and Terry Tempest Williams along with the NAACP, Native American and labor organizations, and representatives of Portland's immigrant and marriage equality communities. Entertainment by Inanna, a dynamic women's drumming ensemble. Friday evening lobster bake on nearby Peak's Island. Breakout sessions to bring the concerns and ideas of the membership to the organization's leaders and to set policy goals for 2010-2011. Dr. Phuong, Vice President of the Vietnam Association for Victims of Agent Orange toured Washington DC where a policy of the American Public Health Association on Agent Orange (Vietnamese version) was passed on November 6 2007. Dr Phuong was accompaigned by Merle Ratner of the Committees of Correspondence for Democracy and Socialism and Susan Schnall (both leaders of the Committees of Correspondence dominated Vietnam Agent Orange Relief & Responsibility Campaign. The delegation met several members of Congress including John Conyers, Bob Filner and Sheila Jackson-Lee. 2006 – present Vice President, Union of Solidarity Societies of Ho Chi Minh City. 2004 – present Vice President, Vietnam Association for Victims of Agent Orange/Dioxin (VAVA). 2000 – present Member of the Presidium, Vietnam Fatherland Front. 1999 – present Vice President, Vietnam Fatherland Front of Ho Chi Minh City. 1999 – present President, Vietnam American Friendship Association of Ho Chi Minh City. 1992 – 1997 Deputy Chair, Commission of the International Relations of the Vietnam National Assembly. 1987 – 1992 Vice Speaker of the Vietnam National Assembly. Members of the US congress and the US Department of State showed their support for Vietnamese "victims of Agent Orange/Dioxin" during a visit to the US by a delegation from the Vietnam Association of Victims of Agent Orange/Dioxin. The visit was made from November 22 to December 4 2010 at the invitation of the US’s Veterans for Peace organization and the Vietnam Agent Orange Relief & Responsibility Campaign also based in the US. The Vietnamese delegation met with the leaderships of the VFP and VAORRC to discuss assistance for AO victims and future cooperation, "especially when commemorating the 50th anniversary of the start of the dioxin war against Vietnam on August 10, 1961". 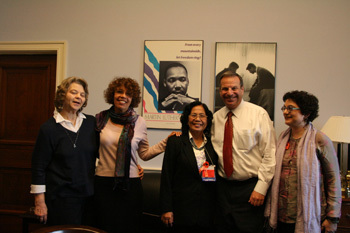 They also met with congressman John Conyers, Chairman of the Committee on the Judiciary under the US House of Representatives, congressman Eni Faleomavaega, Chairman of the Subcommittee on Asia, the Pacific and the Global Environment under the Committee on Foreign Affairs at the US House of Representatives, and US Representative Bob Filner. These US congressmen expressed their support for Vietnamese victims of Agent Orange and welcomed VAVA’s efforts to assist the victims. They stated that the US administration must attach more importance to settling the aftermaths of dioxin in Vietnam. Mr Faleomavaega said that he regretted not having done enough for the victims in Vietnam and called on both the US and Vietnamese government to take responsibility and address the problem. During the delegation’s meeting with representatives from the US Department of State, the US side confirmed that the US Department of State gives a high priority to solving the dioxin issue in Vietnam. During the meetings, the Congressmen showed their support for Vietnamese AO victims, praising the VAVA for its effective activities to help the victims. They also affirmed that the US administration must treasure the addressing of the consequences of AO in the relation between the two countries. During the meeting with the US Department of State, the Department of State affirmed that the addressing of AO issue in Vietnam was a care and priority, according to delegation leader Lieutenant-general Nguyen Van Rinh. He also said that the VAVA and the VAORRC would actively work with the US Congress and Government to have greater help for Vietnamese and American AO victims as well as for purifying toxic chemicals in hot areas in Vietnam. The two organizations came to a joint declaration on increasing cooperation for justice for Vietnamese AO victims. Congressman Filner, the sponsor of H.R. 2634, the "Victims of Agent Orange Relief Act of 2011," visited Vietnam from January 5-11, 2012 to study the impact of Agent Orange on the Vietnamese people. The bill would increase medical funding for Vietnam veterans who were exposed to the chemical and their descendants, along with providing money for health services and cleanup in areas of Vietnam still affected by Agent Orange, some 19,000,000 gallons of which was dropped on the country from 1961-1971. The bill is currently awaiting debate in a House Foreign Affairs subcommittee. Congressman Filner was hosted by the Vietnam Association for Victims of Agent Orange/dioxin (VAVA) and coordinated by the Vietnam Agent Orange Relief & Responsibility Campaign. The International Association of Democratic Lawyers provided funding assistance. He was met at Tan Son Nhat airport by Senior Lieutenant General Nguyen Van Rinh, Chairman of the Vietnam Association for Victims of Agent Orange and Major General Tran Ngoc Tho, Chairman of the HCMC Association for Victims of Agent Orange. Congressman Filner visited Agent Orange victims in Ho Chi Minh City, Vung Tau, Cu Chi, Danang, Quang Ngai, Quang Ninh and Hanoi. He saw daycare, homecare and rehabilitation projects run by the representative of Vietnam’s victims, the Vietnam Association for Victims of Agent Orange/dioxin. In Vung Tau, Congressman Filner visited a VAVA project which cares for former ARVN (U.S. allied) soldiers and their families effected by Agent Orange. Congressman Filner met with Vietnamese Prime Minister Nguyen Tan Dung and Mrs. Nguyen Thi Kim Ngan, Vice President of the National Assembly as well as with medical and scientific experts on Agent Orange. He also visited a pagoda and spoke with Buddhist monks. On Dec. 22, 2009, thirty-three U.S. Representatives wrote to Secretary of State Hillary Clinton, calling on her to request that the Israeli Government end the ban on student travel from Gaza to the West Bank. Bob Filner was one of the signatories of the letter. The entire letter together with a complete list of signatories can be read by clicking here. On Jan. 27, 2010, U.S. Representatives Keith Ellison and Jim McDermott led 52 other members of Congress in signing a letter addressed to President Barack Obama, calling for him to use diplomatic pressure to resolve the blockade affecting Gaza. Bob Filner was one of the signatories of the letter. The entire letter together with a complete list of signatories can be read by clicking here. ↑ Dem.Left, May/June 1993, page 11. This page was last modified on 26 December 2017, at 18:35.